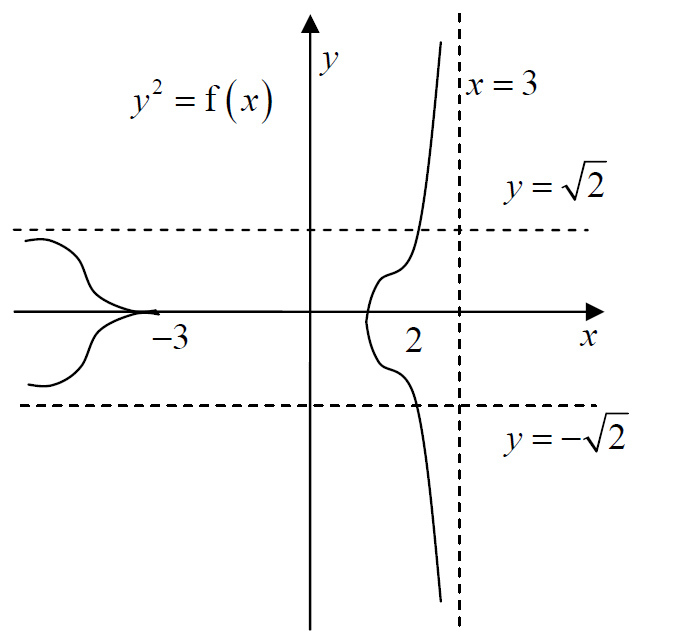 Square root graph can appear as ‘Pointed’ or ‘Rounded’ at the X-intercept. 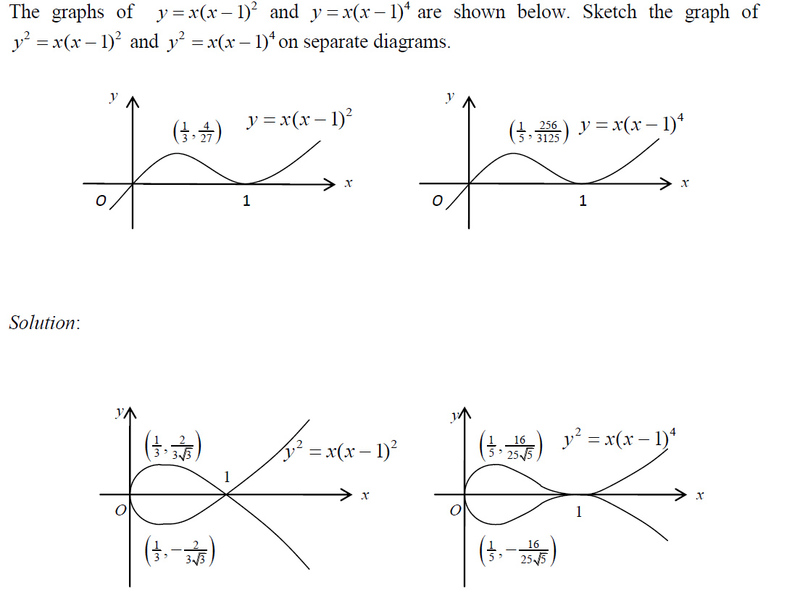 The shape depends whether the original point on X-axis is a stationary point. 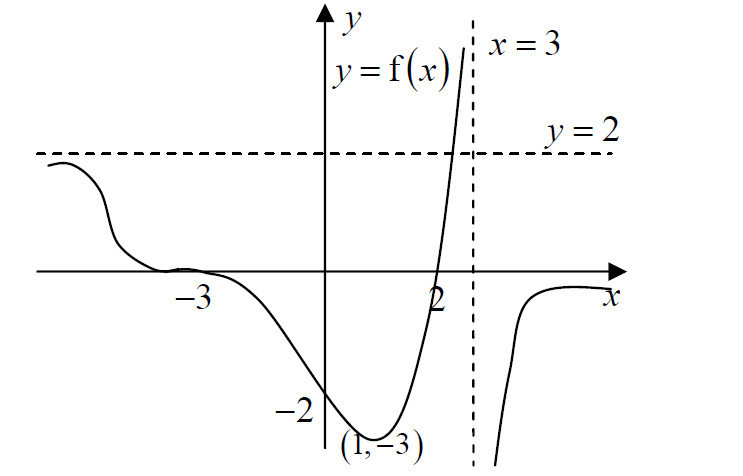 x=-3 is a stationary point. Therefore, the square root graph at x=-3 will be pointed. x= 2 is not a stationary point. Therefore, the square root graph at x= 2 will be rounded. 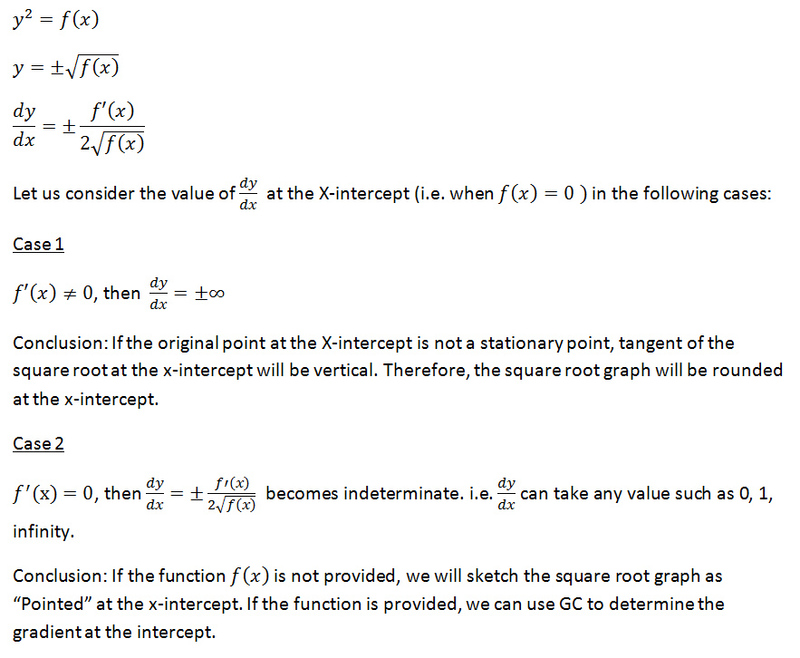 To determine the shape of the square root graph at the x-intercept, we can use GC to determine the gradient. Therefore, the first graph at x=1 appears as two oblique tangents while the second graph at x=1 is flat.